As fate would have it, I happen to live [just about] on the 2017 Great American Eclipse line of totality. For the last couple of months I decided to learn how to photograph the event from some of my favorite photographers. Mainly PhotoRec TV and The Northrops. 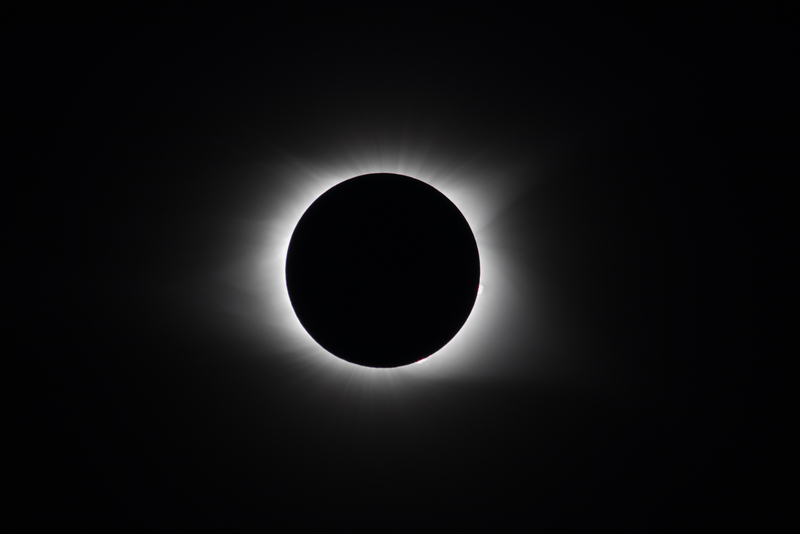 Myself and my fellow photo-enthusiast friend Chris decided to drive about 45 minutes south to a little town called Decatur where we had the most possible time in totality (about 2 and a half minutes). The first spot we went to was a TVA Dam called Watts Bar. We decided to move because the steam from nearby cooling towers was pouring in to the deep blue sky directly in front of where the sun would be during the eclipse. Not good. At this point we made the decision to hop back in the car and drive randomly. We headed about 7 miles further south and saw a dirt road off to the right, down towards the Tennessee River. When we got to the end, we found the perfect spot, and were greeted by an enthusiastic couple from Atlanta. He (being something of a science nerd) had set up binoculars and a piece of foam core and was able to project the whole thing. It also projected on to my daughter’s hand quite nicely. When the time came, we were ready. It’s not an exaggeration to say that an event like this not only takes your breath away, but becomes a life permanent memory in an instant. Night time in the middle of the day was brief, magical, and life-changing. Please enjoy my gallery.